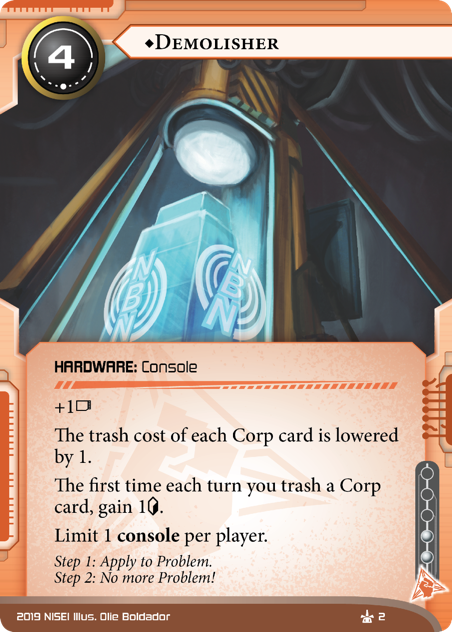 The trash cost of each Corp card is lowered by 1. The first time each turn you trash a Corp card, gain 1credit. Step 1: Apply to Problem. Step 2: No more Problem!